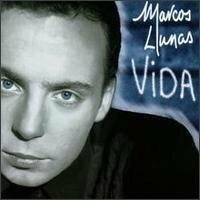 This album by Spanish singer Marcos Llunas features the duet "Me mata tu ausencia" [Listen] with Tatiana. Marcos has recently released his fifth album Desnudo , in which he appears on the album cover naked in a bathtub (which reminds me of Tatiana's Un Alma Desnuda cover). Label: Mercury : Marketed by PolyGram Latino U.S. This page was first created 27 Jan 2001, and last modified 20 Mar 2005.